Sunset is usually our queue to head home but we chose to stay out to get a few early evening shots after the sun went down. 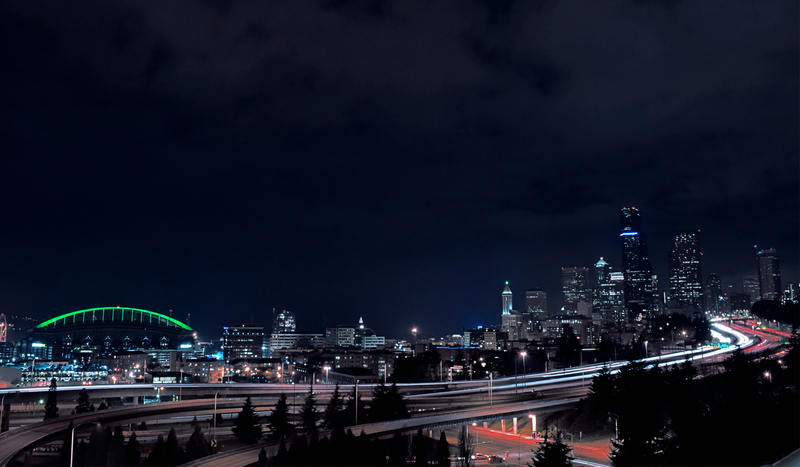 This shot was taken from the Jose Rizal bridge which connects downtown’s International district with Beacon Hill, our old neighborhood. It’s not often that we hang out on this side of the city and that may change. In fact we’d like to get in a few more attempts of this particular shot. While we’re satisfied with it enough to share, we can do better.